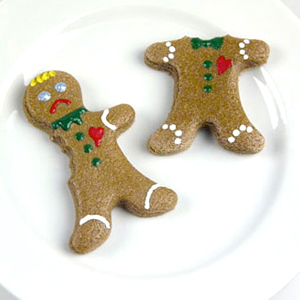 Send the kids to school with some ABC Cookies, and the bullies will be too grossed out to steal them away. 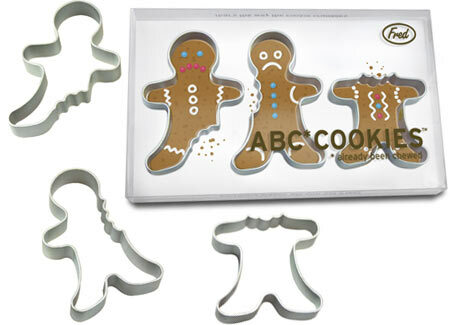 Silly as they are, the ABC Cookie Cutters are made to high culinary standards from luxurious cast aluminum -- This means there are no seams or sharp edges and they're easy to clean. 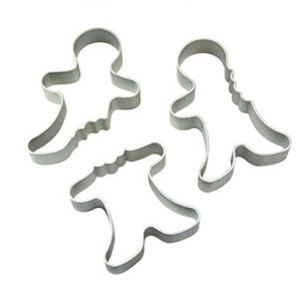 Each set contains three gingerbread men cookie cutters. Each man has an arm, leg, or head bit off.Gorgeously packaged in a see-through box, these Cookie Cutters make a memorable gift. And, at just $10.99 per set, they won't take a big bite out of your wallet!